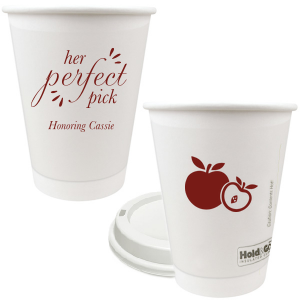 Portable and recyclable, personalize disposable 12 oz paper coffee cups are a festive way to keep coffee, cider or other drinks warm. The customizable sleeve keeps your hands safe and cup beautiful. Order today for winter or fall weddings, outdoor events and more. Lids included. 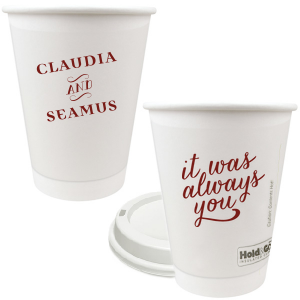 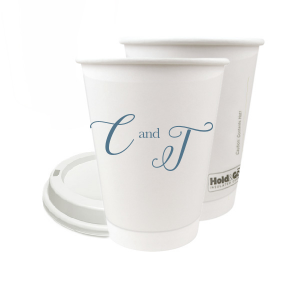 Upgrade the hot drinks at your wedding or party with personalized 12 oz paper coffee cups from For Your Party. Your hot drinks will stay warm and your guests’ hands will stay cozy with your customized 12 oz paper coffee cups with lids. Choose a design that coordinates with the type of event you are hosting easily by browsing our design idea galleries and soon your customized 12 oz paper coffee cups will become a reality! 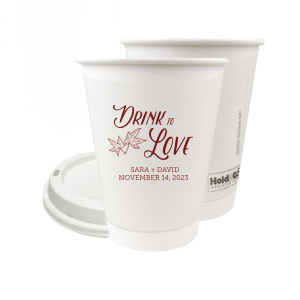 With over 50 screen printing colors, you can make sure that your 12 oz paper coffee cups will look great with the rest of your party decor. 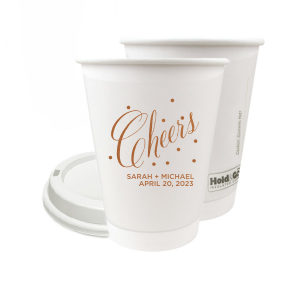 The lids are included when you order your personalized 12 oz paper coffee cups from For Your Party, so if your guests need to take their drinks to go, that’s no problem. Having a winter wedding? 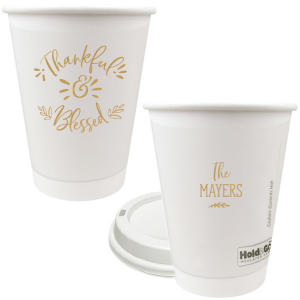 Design a cup that features a beautiful wreath or a snowflake to tip your party hat to the season with your personalized 12 oz paper coffee cups that come with lids. 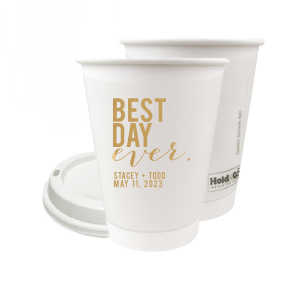 Hosting a bridal luncheon or baby shower? Customized 12 oz paper coffee cups are a great addition to your hospitality spread. 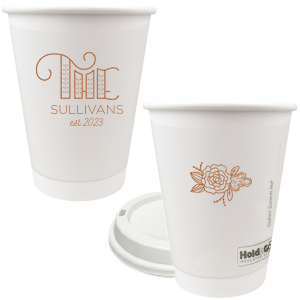 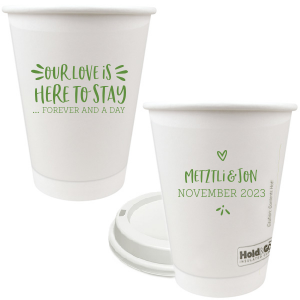 Get started designing the perfect personalized 12 oz paper coffee cups for your special day today!